First of the Top Ten ISWS Oval Racing Silkens of 2010 and all time point leader! Second of the Top Ten ISWS Straight Racing Silkens of 2010! 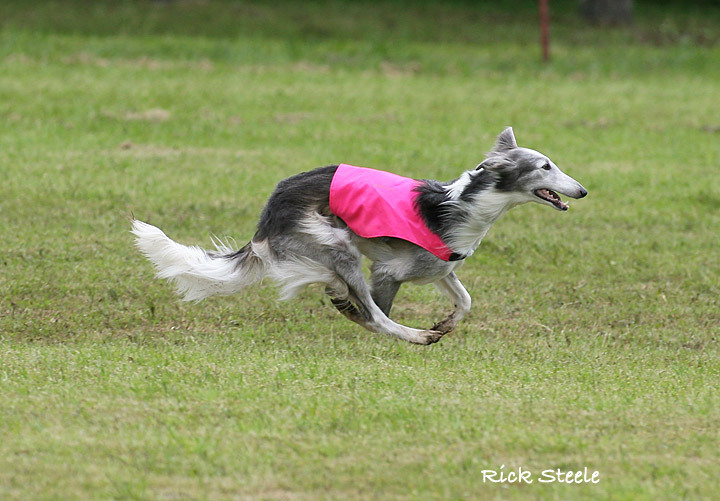 Only the Second Silken Windhound to acheive this Title! 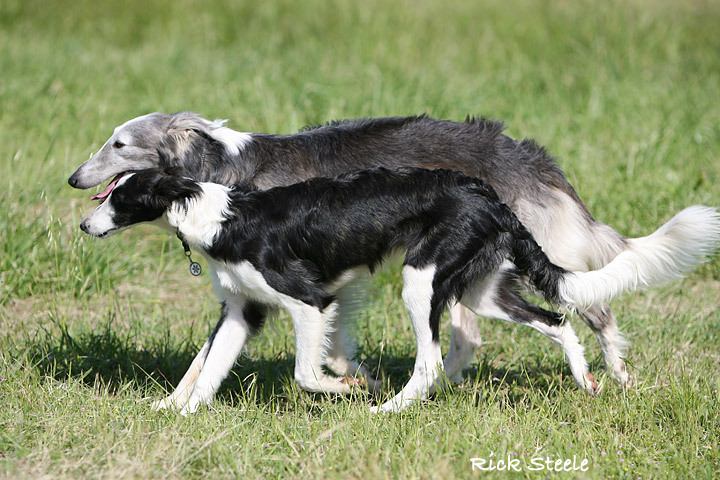 Scirocco's Blue Djinn is our pride and joy, the first born pup from our first litter. That alone would make us love him, but he's gone far beyond our wildest expectations. 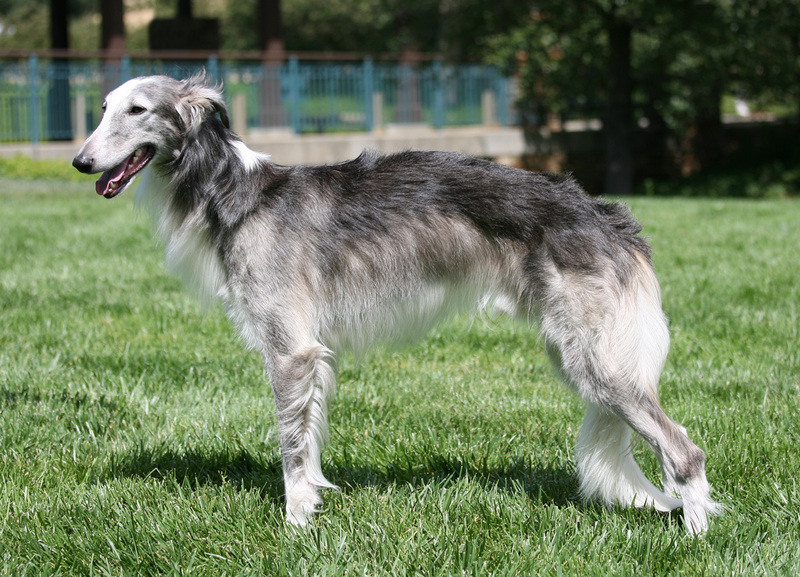 Born in January of 2007, he entertained us during puppyhood with his joyous smile and determination that no matter how much he grew, he WOULD BE A LAP DOG. He debuted on the race track in early 2008 and by October earned his SRC title. 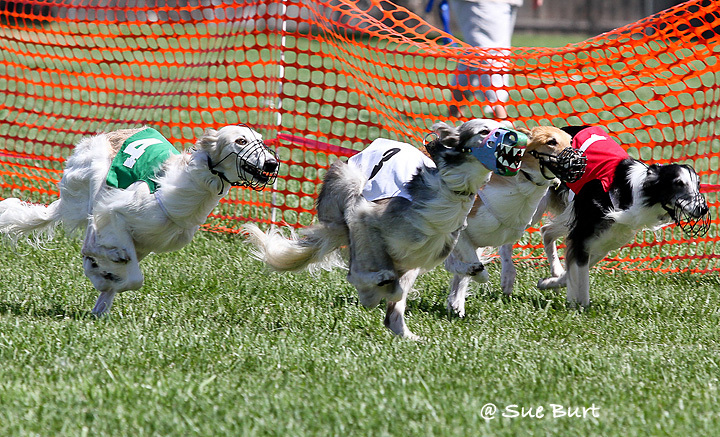 Same month and year Djinn won the High Score Hound at Boofest. 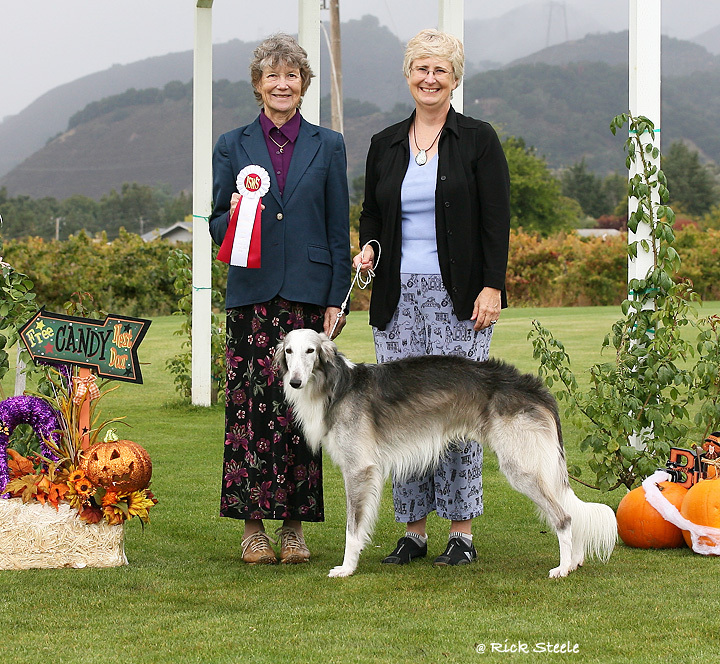 It seems October is his month to shine - in October 2009 he earned his SRCX title and in October 2010, his SRCXII title - becoming only the second silken windhound to achieve a total of 60 points in straight racing! Also in 2010, Djinn became one of the first two silkens to earn the OvalTrack Racing Champion award. 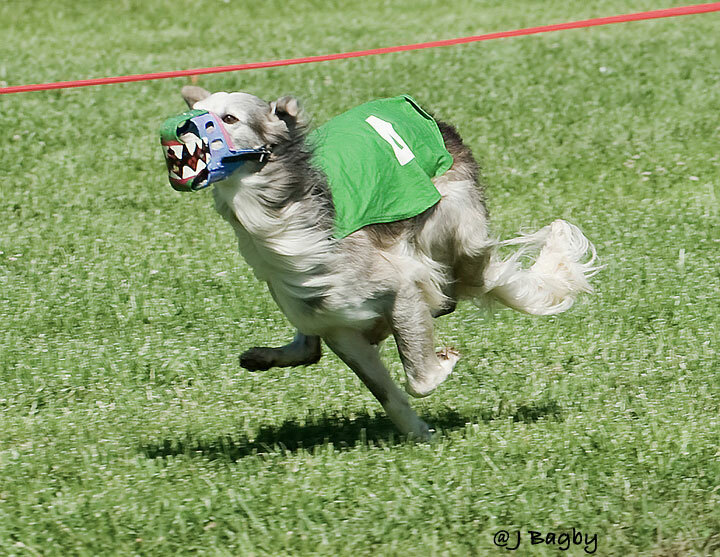 Ever the determined competitor, Djinn had to have a special muzzle to protect his teeth from determined dives into the ground to possess the lure. 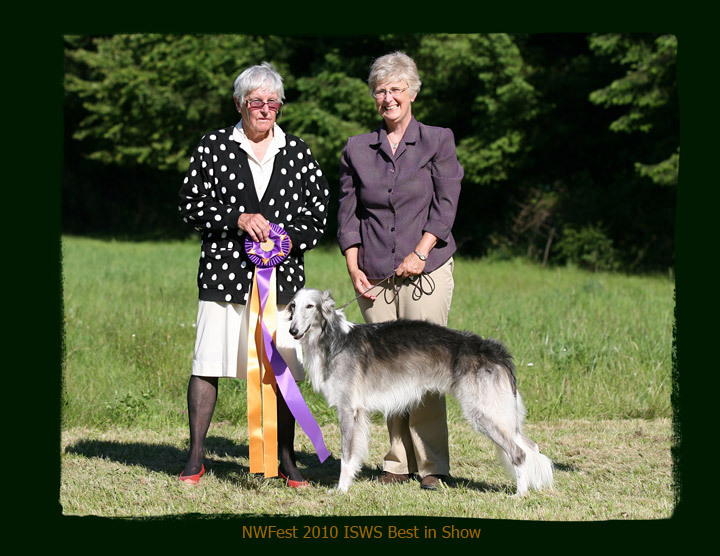 Djinn participated in the first ever ISWS open field coursing events in Feburary of 2010 and not suprisingly, earned the #3 spot in the sport. 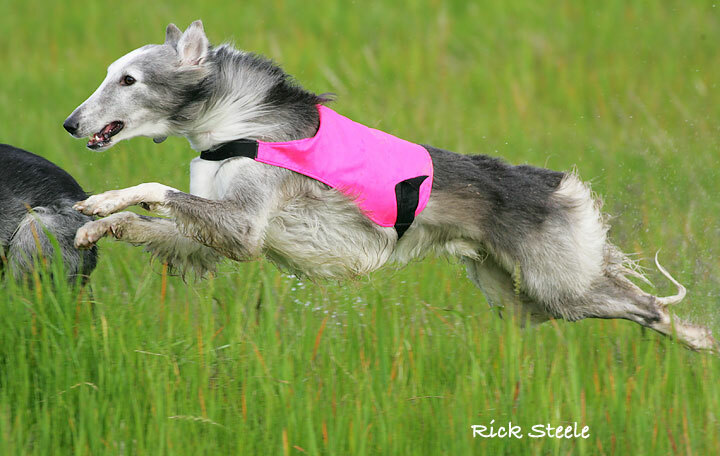 This winter we hope to spend more time in the field and let him indulge his need for long d istance running. 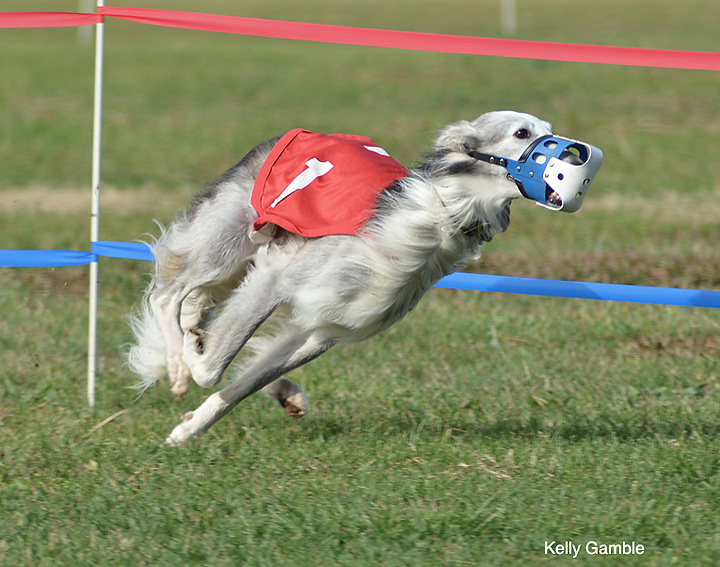 He's also tried his hand at lure coursing and earned the "Intermediate Courser" title. To excel in this sport, he's going to need to slow down - which isn't in his game plan at the moment! 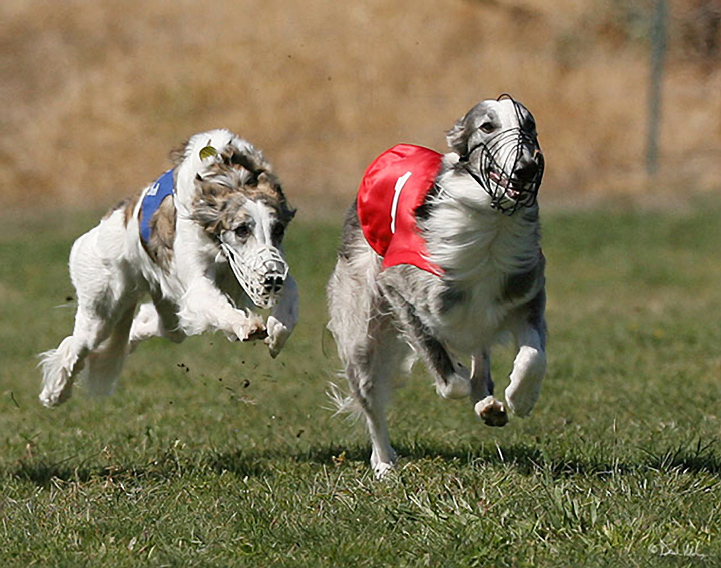 When he's not racing, Djinn can be found teaching his half sister and best friend, Karly, how to lead the pack. They make quite a pair and love exploring the duck pond together. 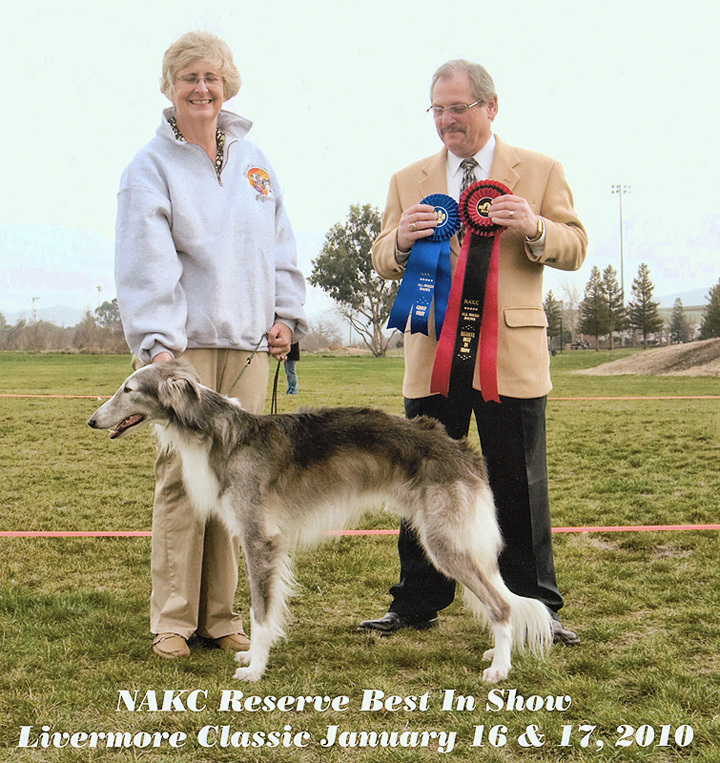 In January 2010 Djinn hit his show stride as a mature male and added the ISWS Champion title with his Best in Specialty Show win to his 2008 NAKC International title. 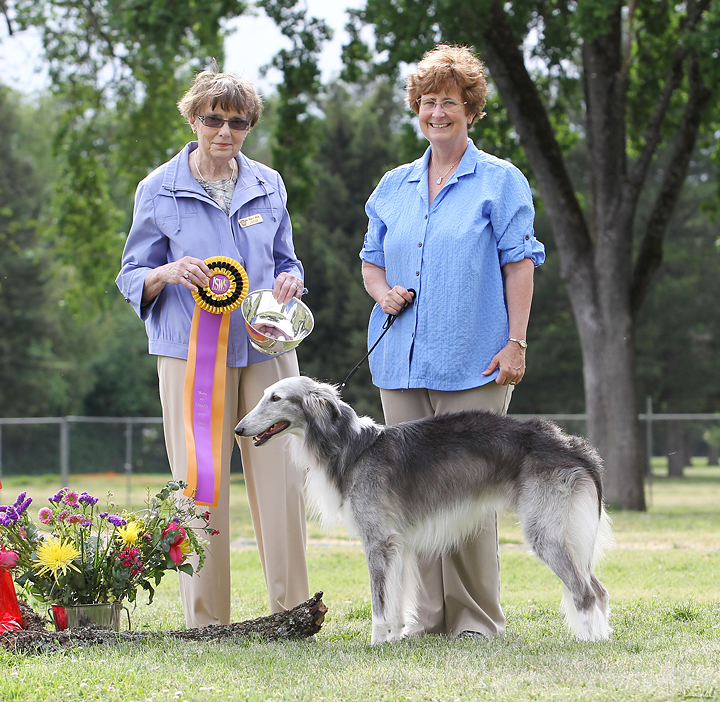 And in June he topped it off with a Best in Show win against a huge field at Northwest Fest. 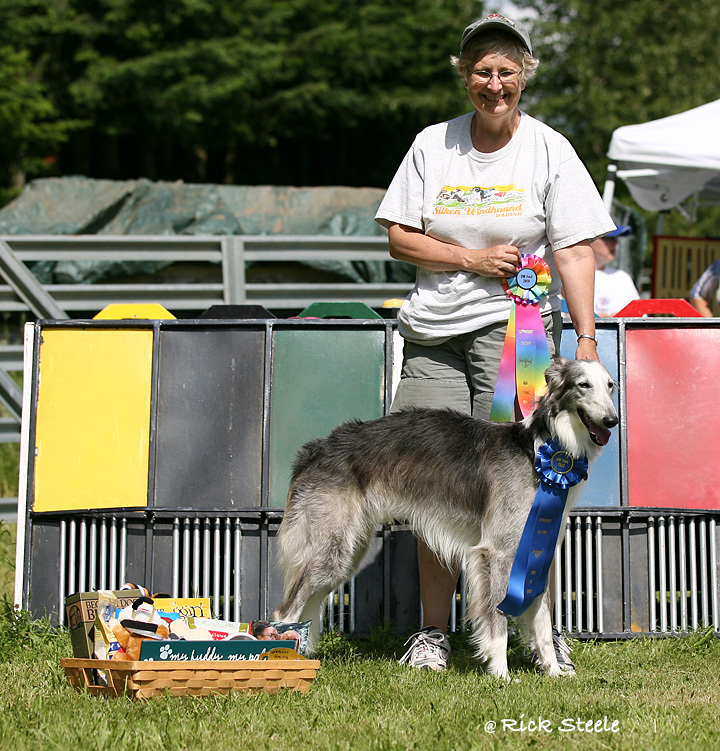 He followed up his Saturday show win with the straight race 1st place ribbon to add to his growing collection. At Boofest 2010 held at Kigin Cellars in Gilroy, California Djinn surprised us with another Show win getting Best of Opposite. The dictionary defines "djinn" as a spirit capable of exercising supernatural influence over people? and that's our boy!